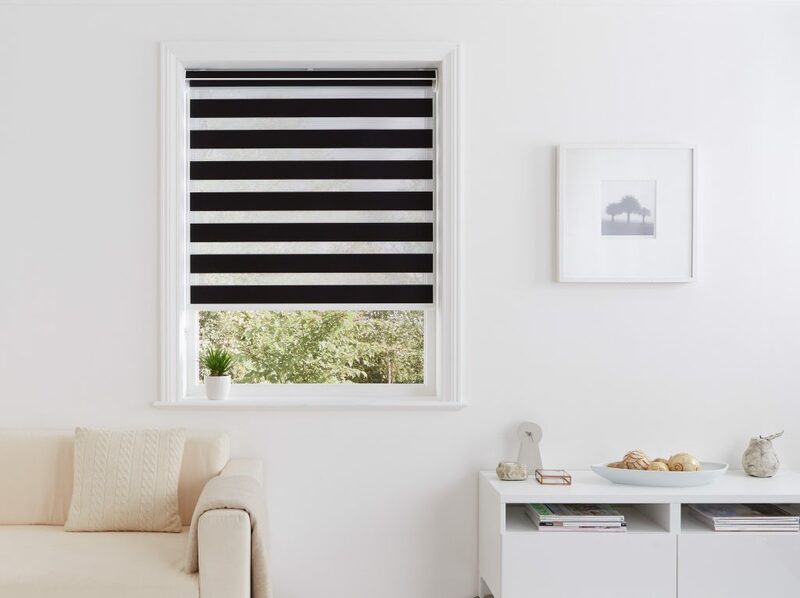 Stylish and practical make the Z-Lite™ range of roller blinds a range that you simply must consider for your home, as they offer exceptional and unrivalled light control in your property to make sure that you are in control of just how much light you want in your home. 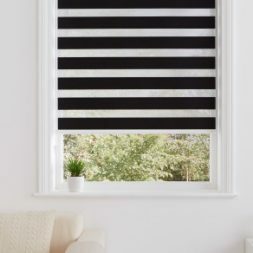 Combined with the sheer and opaque fabrics that are uniquely blended into one blind, the stunning eye-catching effect of these blinds really must be seen to be believed. 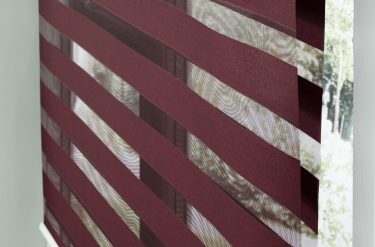 These blinds are available in 12 amazing colours, from a really cool and luxury natural colour through to some really vibrant reds, in two must see, contemporary designs. 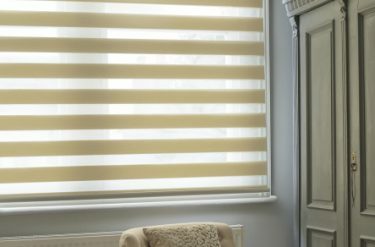 We are also able to offer both the headrails and the bottom rails in either black or white, making sure your new blind really does fit into your home. 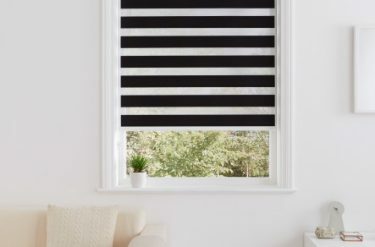 Check out the range of Z-Lite™ Roller Blinds we have on offer below, or please do contact us for more information and to arrange a free quote to supply and fit into your property. What makes Z-lite™ blinds different from other roller blinds? 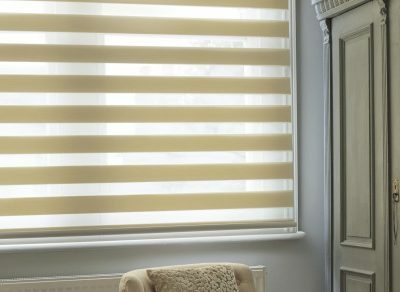 Z-Lite™ blinds are Arena’s version of the popular new ‘Zebra’ style blind, made from fabric which combines both sheer and opaque stripes, operating together to create the ultimate light controlling option. 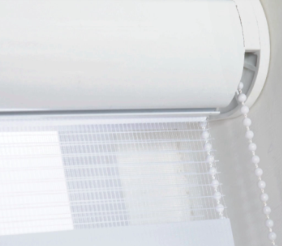 Are Z-Lite™ fabrics part of the Aquarius Textiles Service? 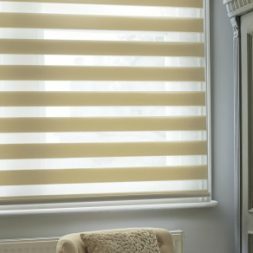 Yes, we offer all Z-Lite™ fabrics in our Aquarius Textiles Service, as either a cut length by the metre or by the full roll. Available for next day delivery whenever you need it. 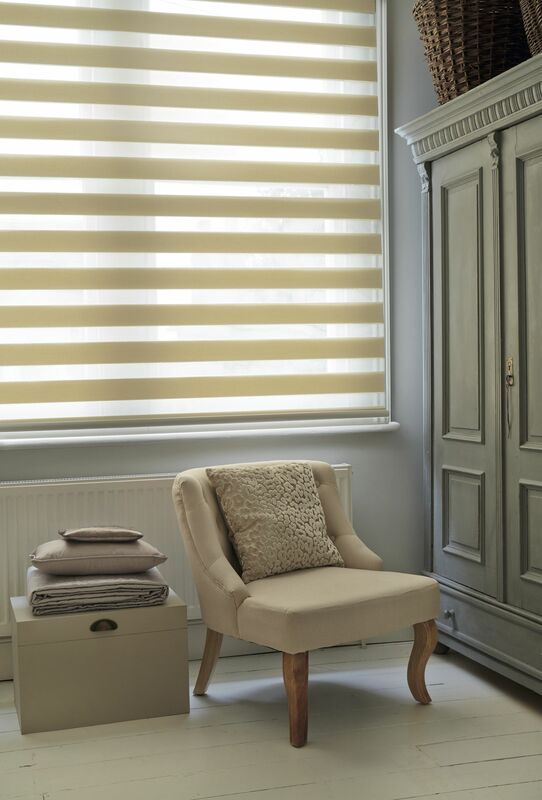 Shimmering fabrics and luxurious colours catch the light in a room beautifully. 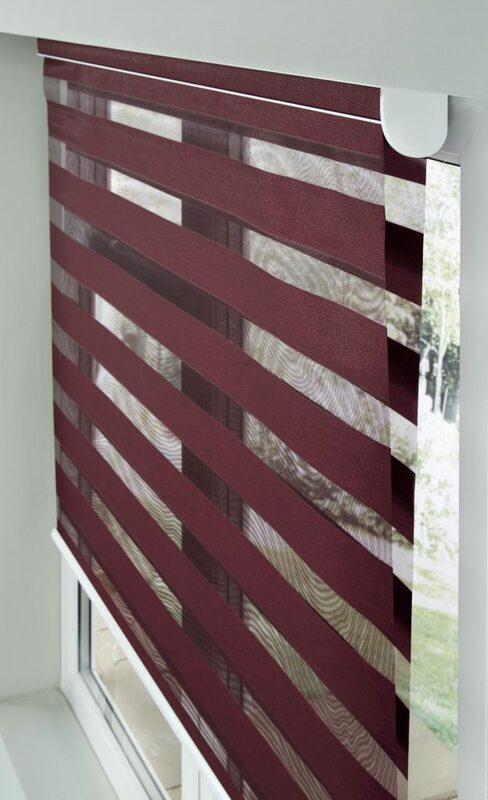 Click on Checkatrade link for more pictures and feedback.